"Children, parents, governors and all staff to work together to ensure that everyone fulfils their potential and enjoys a rewarding experience". To promote cultural understanding between different ethnic groups within our school community. We support the British values of democracy, the rule of law, individual liberty, and mutual respect and tolerance of those with different faiths and beliefs. 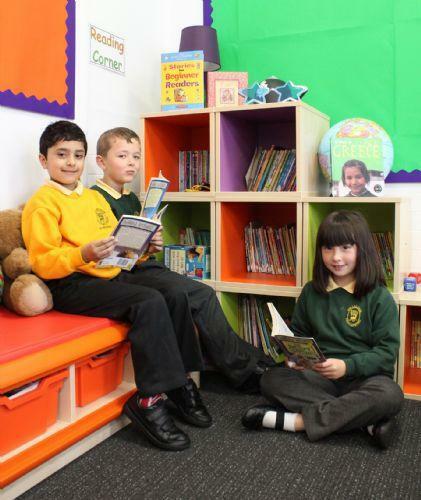 We are a large, happy and friendly primary school situated on the outskirts of the town of Blackburn. We have lovely surroundings and a large school field. The school was opened in 1929 and has had many improvements over the years including a major extension in 2006 which incorporates new classrooms for our Reception age pupils, a library, new offices and a spacious and welcoming entrance foyer. Our fantastic Nursery opened in September 2011 and has proved to be very popular with parents and pupils alike. 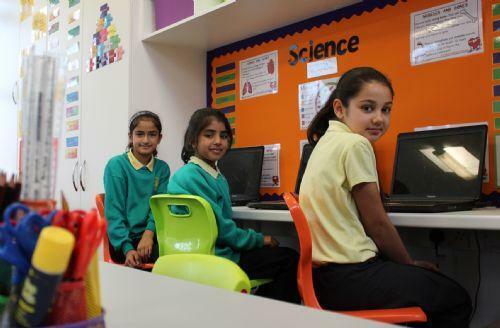 A major refurbishment of all our classrooms took place in August 2012 and has transformed the learning environment across the school. 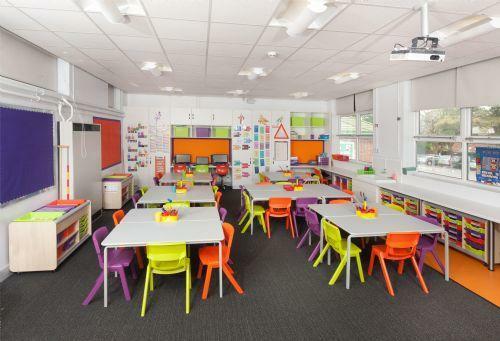 Working in partnership with Blackburn based Bibi Interiors we have produced state of the art classrooms that are bright and vibrant and refelect the high expectations that we set for ourselves and our students. You can see the classrooms in the 'School Tour' section of this website and there are more photos below. We received funding from the DfE to increase our intake from 50 to 60 in Reception from September 2014 and to build 2 new state of the art classrooms for our Year 6 pupils on the site of the old 'mobile classrooms'. This extension also includes a computer suite and a music room, as well as toilets for the Year 6 pupils. The extension was opened in September 2015 and we are delighted with the outcome. One of our fantastic new classrooms! We are 2 form entry with 14 classes in the main school and a nursery class. We also provide a Breakfast Club which is available every morning from 8am to 8.45am and an After School Club from 3.15pm to 5.45pm.